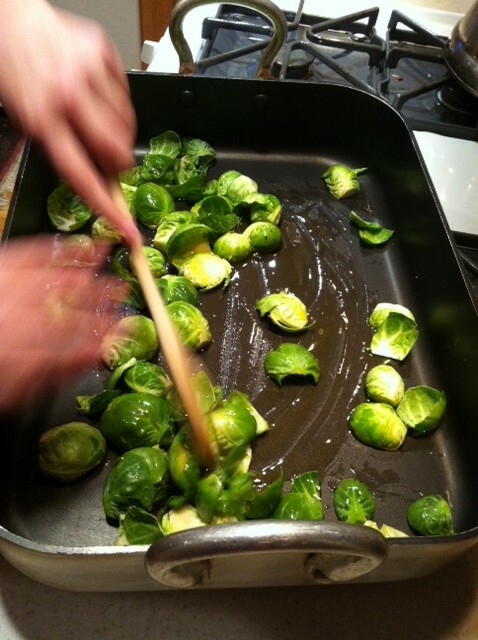 On a recent evening, as my sister and I surveyed my mother’s cabinets for the makings of pre-dinner hors d’oeurves to accompany pre-dinner drinks, Greta piped up with an offer to roast some brussels sprouts. 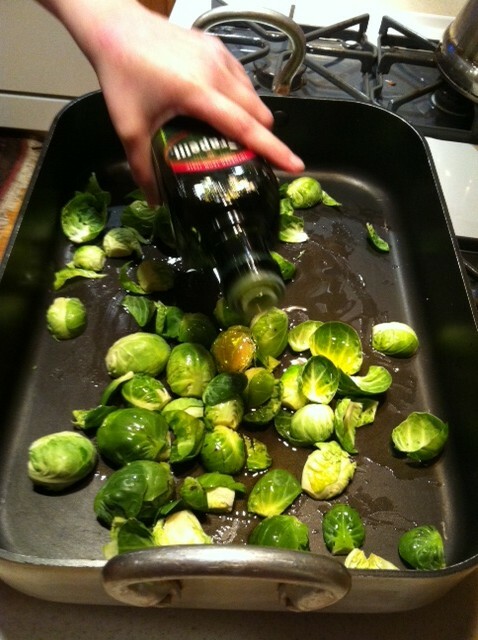 Hmmm, brussels sprouts for cocktail hour . . . well, sure, why not? Thanks, Greta! 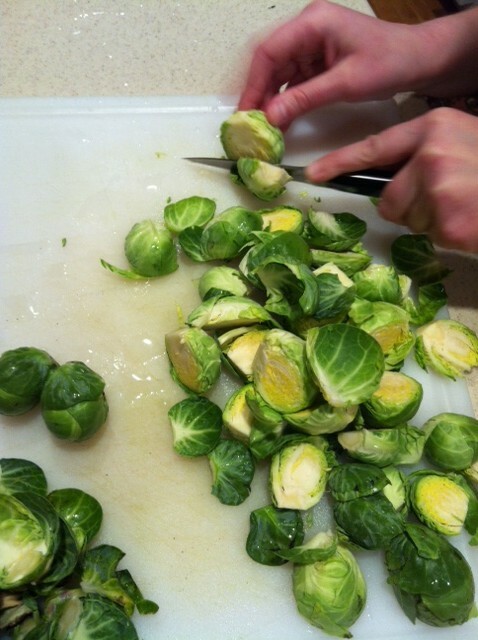 And so Greta set about paring and chopping, tossing, salting and peppering. Twenty-five minutes of roasting passed, during which guests arrived, drinks were poured, and soon the brussels sprouts were pulled from the oven. 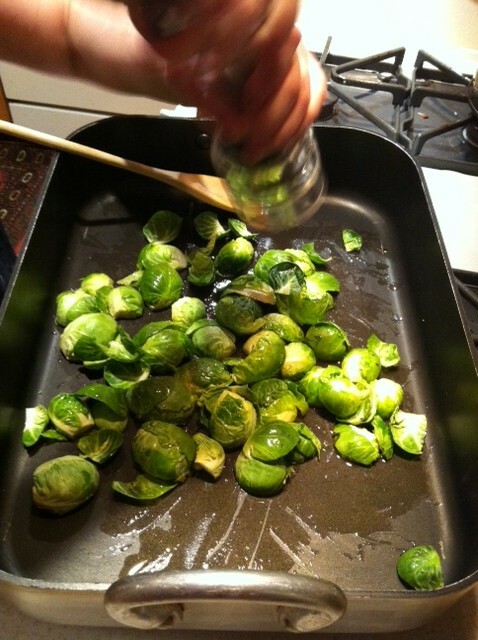 The individual leaves that had separated from the main sprouts had crisped into salty little chips, which Greta ate while she poured the larger pieces into a serving dish. Roasted brussels sprouts as an aperitif accompaniment would never have occurred to me, but all present agreed it was a stroke of genius. Greta appears to be on a roll . . .
Looks great Greta! 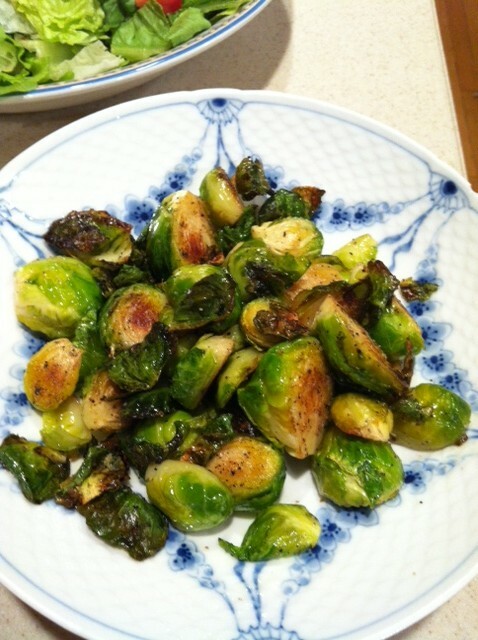 Roasted brussel sprouts have become a fave in our home, though we haven’t had as regularly as I would like due to unavailability or high price for sorry looking specimens. One of my favorite foods/vegetables. Haven’t had them in a while but after looking at the pictures above, I will be having them this weekend! Yum! Thanks Greta! 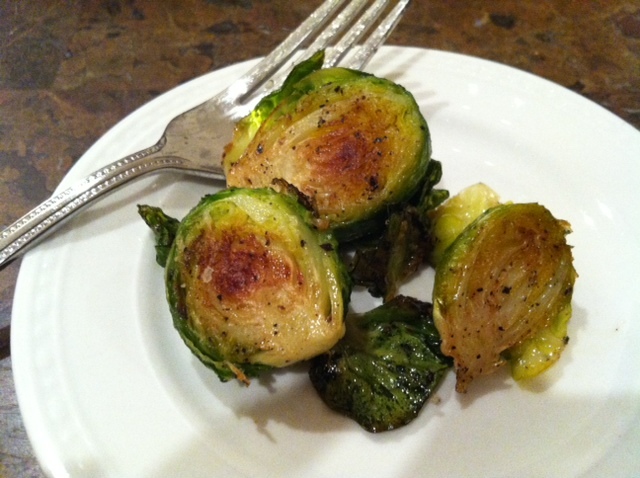 This is my favorite way to prepare (and eat) brussel sprouts. Delicious post!